ISLAMABAD: The number of Pakistani Hajj pilgrim martyred in Friday’s stampede in Mina has mounted to 10, as government authorities issued details of the deceased and injured, Samaa reported Saturday. 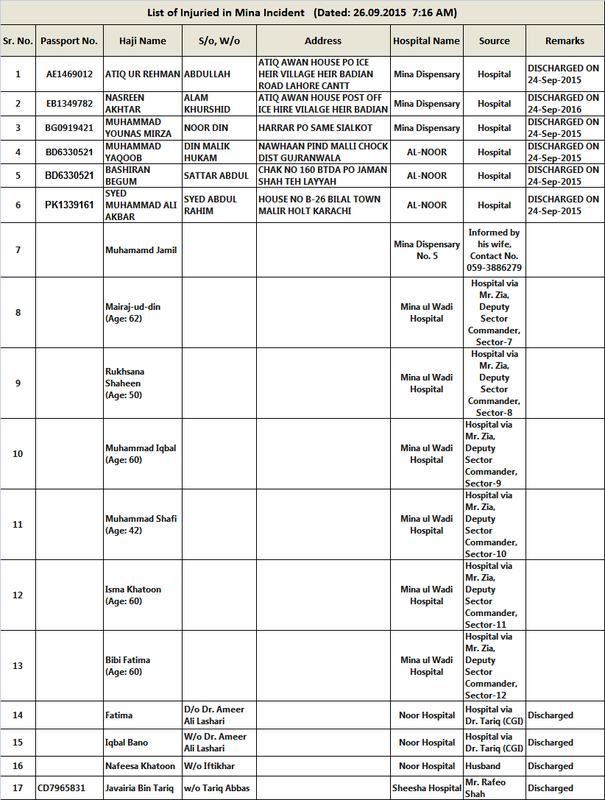 According to latest reports, ten Hajj pilgrims were martyred and 17 others injured in the incident. Director General Hajj, Abu Akif said on Friday that 316 Pakistani pilgrims are missing since the Mina tragedy. 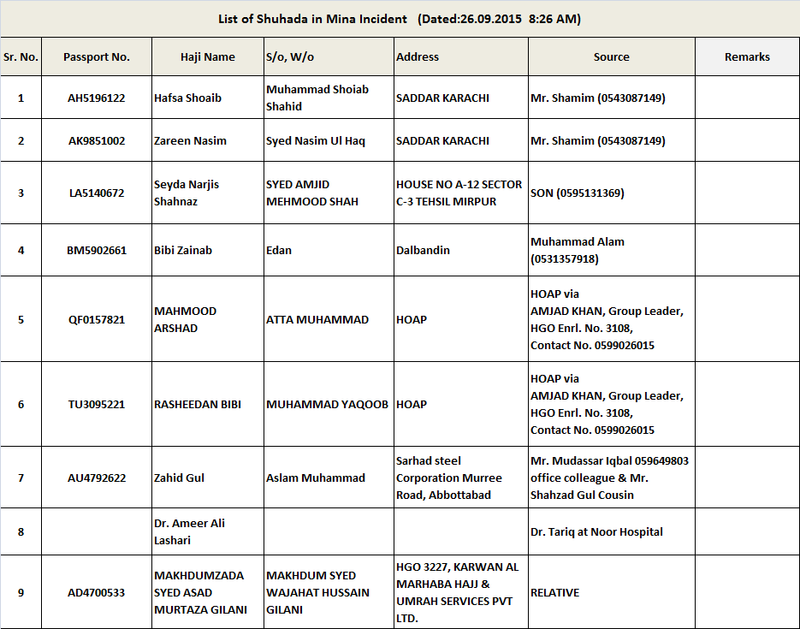 “Initially there was report of 402 missing Pakistanis; however, we managed to contact 86. Our doctors are present in morgues to get further details,” he said. Akif said the Saudi government would soon make a final announcement about those martyred and injured during the stampede in Mina. Prime Minister Nawaz Sharif has directed the concerned authorities to utilize all resources for recovery and safe return of missing Pakistanis.